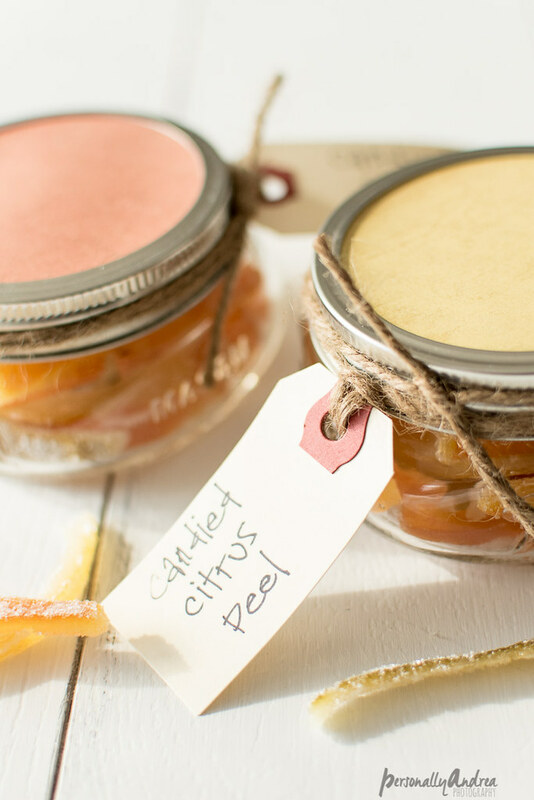 A pretty package of homemade candied citrus peel makes a stress-free and thoughtful gift from your kitchen. The recipe is forgiving and the end result looks festive. What could be better for Christmas gift-giving? It’s on my bucket list to attempt candy making someday. And Christmas would seem like a good time to try it. 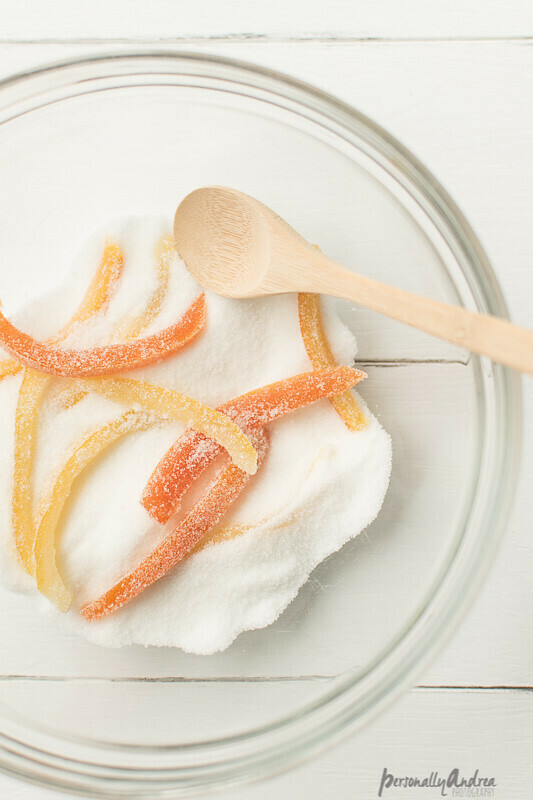 But the science of it and the threat of burnt sugar (and cleaning it up) seems daunting, so I bailed and made this candied citrus peel instead. It’s technically candy too, but the process is very forgiving and your house will smell delicious while you’re making it. No burning of sugar involved. I was inspired by this gorgeous, gorgeous book which happened to be on a Sale table as I was browsing through Chapters one night. Something about beautiful food photos makes me feel like I can cook anything. You too? 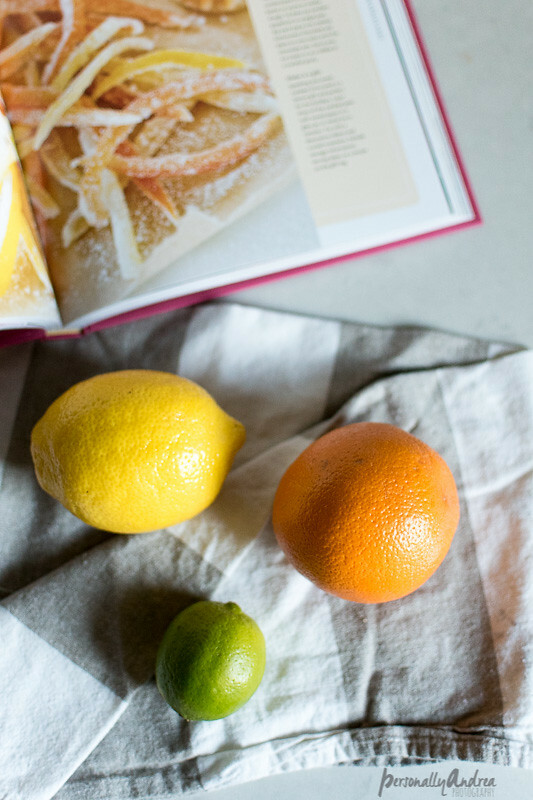 This recipe uses four pieces of citrus fruit. I tried one each of grapefruit, lemon, orange and lime. I didn’t find instructions anywhere that included lime, but I love them so thought I’d take a chance. They didn’t turn out quite as bright pretty green as I envisioned, but the taste was my favourite out of the four in the end. 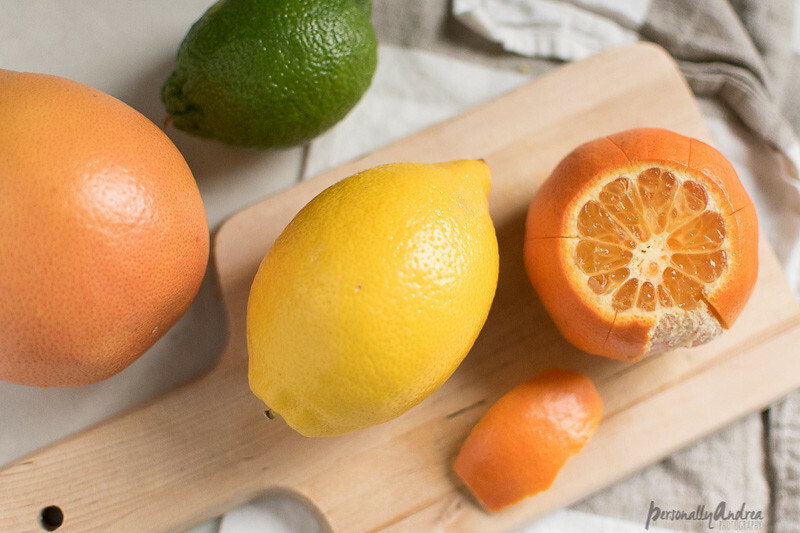 Start with scoring the peel from top to bottom in sections that are a good width for peeling, and remove each section of peel carefully. Opinions were varied as to leaving the pith (the white inside part) on or off, so I left it on. #lazy In hindsight I might have made the effort to remove it from the lemon, since it was pretty tart for my taste, but others who were testing for me liked it. So I leave it to your tastebuds. Slice each section into quarter inch strips and place into a pot of water, about two inches deeper than the peels. Bring to a boil and then simmer steadily for about 45 minutes. 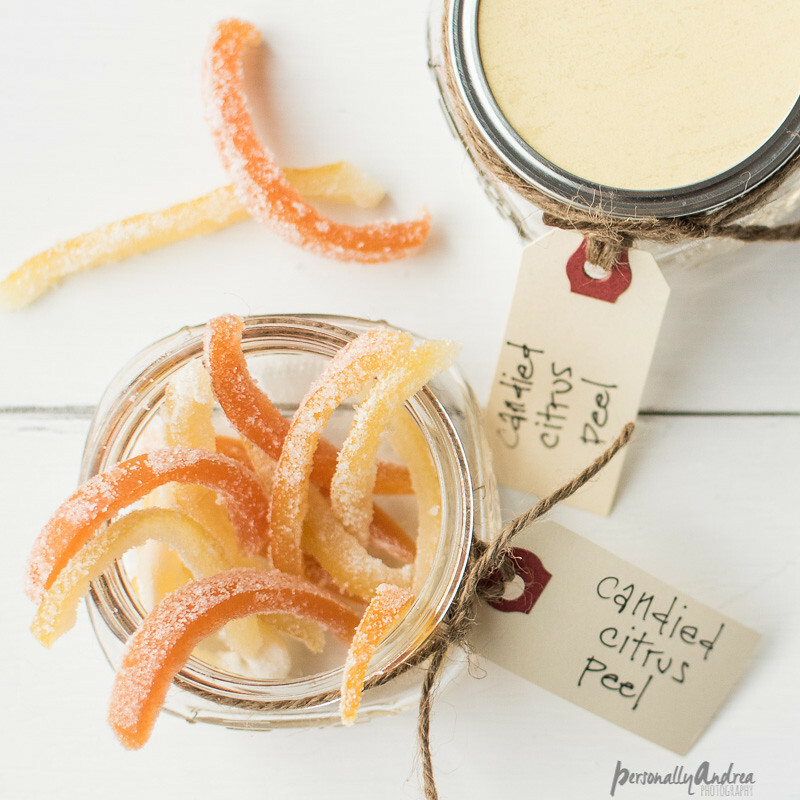 While that’s simmering away you have time to get your craft on and make up some pretty jars to give your candied citrus peel away as gifts. I like to use canning jars that are a little fancier than the standard jam jars. Some pretty paper fitted into the lid and a tag attached with jute twine is a simple and lovely way to present it without breaking the bank. 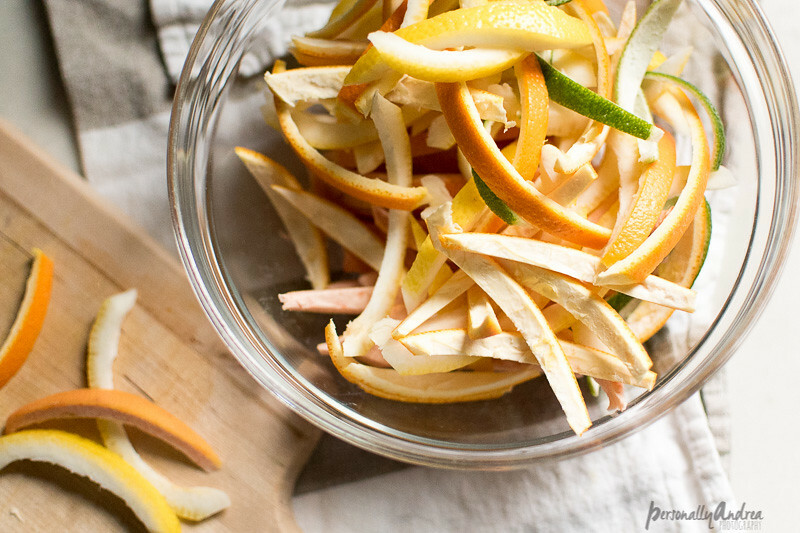 Back to the stove… remove the boiled peels with a slotted spoon and drain the pot. Into the same pot add two cups of water and one and a half cups instant dissolving sugar, and bring to a boil. Add the peel to the mixture and simmer steadily for about 45 minutes, or until the peel is no longer covered by the liquid. (Mine simmered for about an hour before I removed the peel. #forgiving) Remove the peels to wax paper to dry. DON’T THROW THE SUGAR MIXTURE OUT. 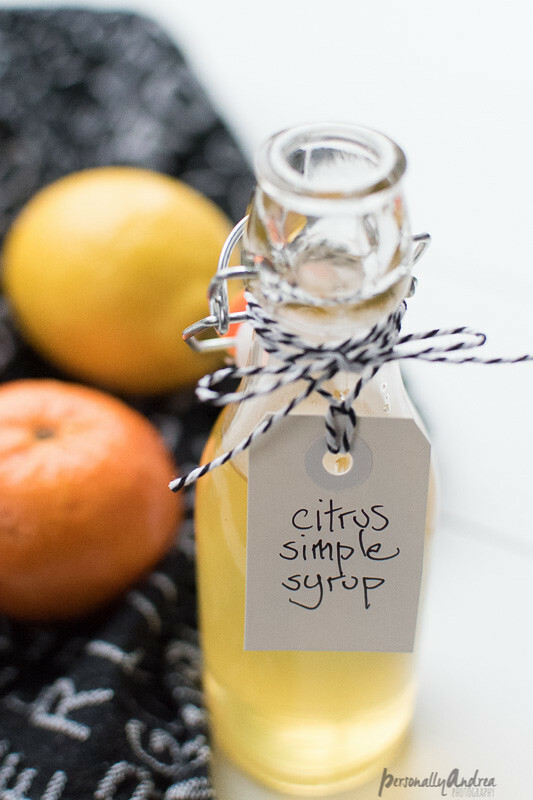 It's a citrus simple syrup and you worked hard for this. Strain it into a seal-able jar and save it for margaritas after all this hard work, or give it away to your BFF and hope you get invited over for drinks. Working in small batches, coat the peels in granulated white sugar and lay them out in a single layer to dry completely. This will take a few hours, and then they’ll have the texture of something like gummy worms, except for grown-ups. #thatsus Then store them in single layers between wax paper in an air-tight container, for up to a month. Then when you need a fancy little gift from your kitchen, transfer some to your pretty jars and you’re all set. This recipe made enough to fill about five or six of these 250mL jars. Be sure to mention that these are a delicious garnish for ice cream or cupcakes, or as part of a sweets tray. I can’t wait to try them in a chocolate fondue. 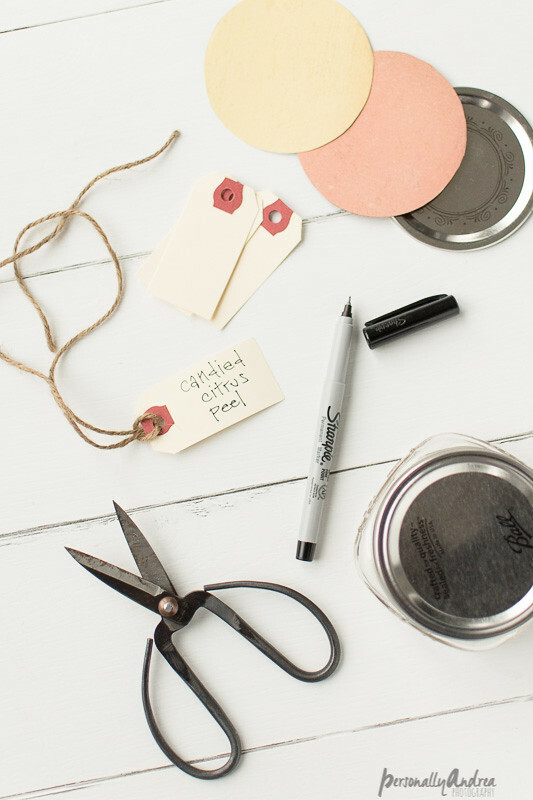 I also can’t wait to try more of these DIY gifts from some talented Canadian bloggers. A similar crowd to the one in this post filled with handmade gifts. I hope you’ll check out their ideas too. All the links are listed below.